Little did Steve Jobs knew back in 2010 when he made the above statement, that the world is going to pick up the pace of change and the lives around us will be impacted by the same up to this extent. Back in 2010, we couldn’t have imagined 4G connectivity, or smartphones with processing power of a computer, or even a smart device that can be controlled simply by your voice. This made me wonder, if I had to pick a technologies that are changing or will change the world for everyone around, what would it be? I identified 3, that in my view, are changing the world around us faster than we can imagine. Close your eyes, and imagine entering your home after a long day, and just by mumbling a command, your lights switch on, your geyser heats up water in your bathroom and your coffee machine starts. Not only that, your music playlist comes to life. Sounds like a dream right? With device such as Amazon Echo and Google Home devices, you can control any appliance in your home, play your favourite music, and even listen to news or weather updates and all of this, just by a voice command. These devices come with a whole range of prices so that you can buy as per your needs and use it to its maximum potential. Plus, they keep upgrading these devices within a certain period of time to keep you up with the latest features! Long gone are days of monochrome Televisions. We had one and it only had 10 channels, and to change them, you had to get up from where you were sitting, and rotate a dial. Yes, a world like that did exist! Hard to imagine it in the era of online streaming, and binging seasons on Netflix. Soon, colour televisions took over the market and the magical device of remote control entered our lives and along with them cable TV Service Providers entered the market with a whole new dose of entertainment. Fast Forward to 2014, we had our first experience of a Smart Television. This device can not only browse internet for you, it can also play specific applets like YouTube, Netflix, Hotstar and likes of it, thanks to Android Operating System. Wireless Connectivity to Internet, Full HD playback and what not… Smart Televisions have made DTH and Cable TV obsolete. All you need is a smart television and a decent Internet Connection and you’re good to go. Tony Robbins was on point. We no longer live in an Information Age. I was born in 1992, and for the majority of my life, I never knew what a mobile phone was. All we had were those Fixed-Line Phones with rotary dials to make calls and one local area call costed around 15 INR per minute that time whereas making an International Call costed somewhere around 200-300 INR per minute. I must be in my preteens when my father bought his first mobile phone which was a monochrome screen device from Nokia. It had no memory whatsoever, no memory card slot and no way to communicate other than SMS or call. The real disruption in Indian Market came when Android Based devices took over the market and toppled Nokia from its throne. Whether it was texting, calling or even video calling, all was possible by just a finger touch and Fast Forward to 2018, we have devices with as much as 8GB of RAM, 512 GB onboard storage and cameras that put DSLRs to shame. In present scenario, all the companies manufacturing smartphones are offering new variants every year, if not every month. You are no longer limited to just calling or contacting. You can shoot movies, click photographs, make presentations, email people, text , video call , listen to music, watch live television- you get the point. Smartphone are no longer devices of communication. With each year, we see a new advancement in Telecom Industry that makes us lazier each day by making our lives easier. While I am nobody to judge, but the world is changing at a much faster pace than we can ever imagine. Companies like Qualcomm are already working on devices that will operate on 5G speed, which means compared to upper limit of 100Mbps that is being offered on 4G Networks, we will get 10Gbps of data transfer speed on our phones itself. Can’t even imagine what would that do to the world, what other gates of possibilities will open up? We can only wait and watch. 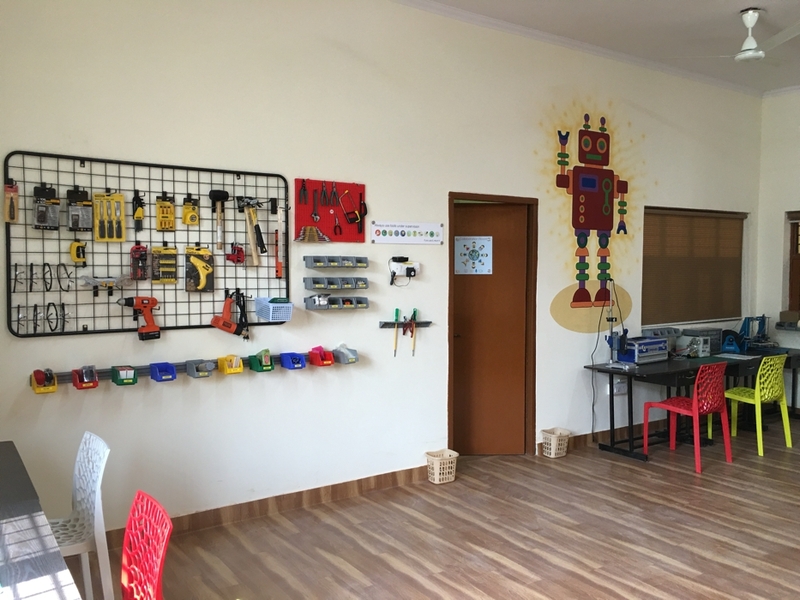 To know more about what’s happening inside our Maker Space, check out our Facebookand Instagram . And to visit our maker space or for more information on our membership plans, head to our website.